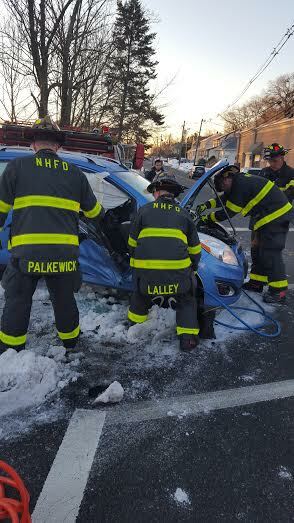 On the morning of January 28, 2016, the North Haledon Fire Department was dispatched to the intersection of Belmont Avenue and Overlook Avenue for the report of a motor vehicle accident with entrapment. Once on scene, department members successfully extricated two occupants from one of the vehicles involved in the accident. A.L.S. and B.L.S. evaluated and transported the patients to a local hospital for further treatment.